Friday night in Leonora and the street outside the Leonora Recreation Centre was a buzz of excitement, friends, family and passersby were queuing to get in for the inaugural GoldfieldsGirl2017, Leonora heat. Walkatjurra Cultural Centre were proud to host Goolari Media in the very first heat of the GoldfieldsGirl in Leonora. Everyone on the community came out to show support for the Girls and the Goolarri team were strongly supported by community members who helped in judging, makeup, MC’ing and all of those tasks that show how a community cares. In what was probably one of the hardest decisions ever, the judges chose three young women to represent Leonora in the GoldfieldsGirl2017 Finals event in Kalgoorlie on 2nd June 2017. A special mention to the Walkatjurra Artists who’se Walkatjurra Scarves were beautifully worn with pride by GoldfieldsGirls. Walkatjurra Cultural Centre is proud to announce that we have formed a partnership with Goolarrie Media to run the first Goldfields Girls event in Leonora. Goolarrie Media have successfully run Kimberley Girl for 14 years and Pilbara Girl for 7 years. This year is the first time we will host Goldfields Girls. We are calling for any girls in Leonora, Laverton, Menzies, Mt Margaret and Mulga Queen to register for Goldfields Girls – Leonora heats in May 2017. To register please call: 08 9195 5333 or leave a message at 08 9467 6046. We have 15 young people participating in this training and each are very keen to find a job. One participant drives from Menzies every day (220km return trip) to participate in the training. I would like to talk with local mining companies and contractors in the Leonora, Laverton, Wiluna and Menzies Shires on how they might support these trainees to find a job. 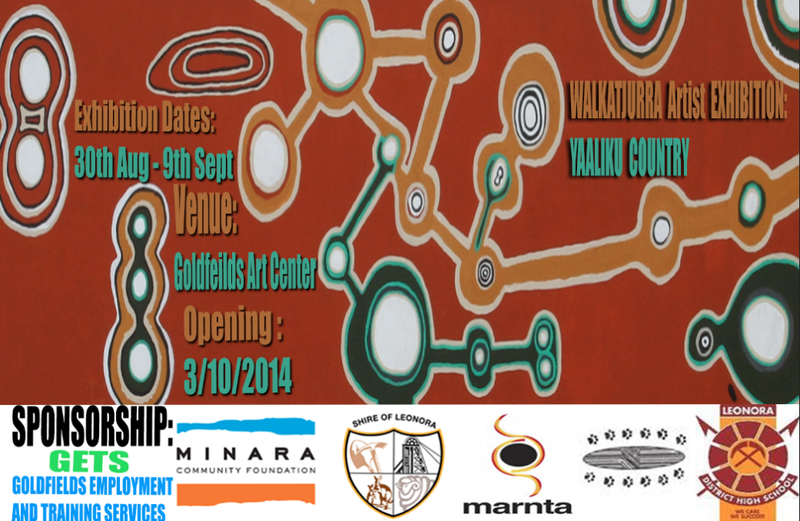 The Walkatjurra Cultural Centre operating out of Leonora in the North Eastern Goldfields is building on its relationship with Max Employment – Goldfields Employment Training Service Pty Ltd (Gets) under the federal governments work for the dole CDP program to help aspiring Aboriginal artists develop and refine their skills. Over the next two weeks of February, Aboriginal artists in Leonora, Laverton, Mulga Queen and Mt Margaret will get the opportunity to work with nationally accredited arts centre management and artists support trainer Charles Street. Charles’s extensive training experience includes both accredited and non-accredited arts skill set delivery for emerging and professional artists, to small business training for artists and arts workers. Charles established professional arts service body Black Square Arts to support to a number of Indigenous Arts Centre’s in Cape York and the Torres Strait. Walkatjurra Cultural Centre invited Charles to come and work with their artists to support the development of the Aboriginal arts sector in the Northern Goldfields. Walkatjurra Cultural Centre are pleased to announce that in partnership with International Art Space, we are hosting Swedish artist Linda Persson. Linda has been in Leonora now for three weeks and is talking, visiting, meeting and learning everything she needs to know about Leonora and our surrounds. International Art Space is a leading West Australian arts organisation, presenting a program of ambitious and dynamic socially engaged and context-responsive art. Linda has already done some work at the Leonora Youth Centre, work with the Leonora District High School and talking and sharing with many community based artists and community members. We will be holding a public event with Linda on 31st October for the community to hear how Linda has found her experiences in Leonora. Linda will then return to Sweden, before coming back to Leonora in March 2017. We will then work with Linda in creating a series of artworks for show here in Leonora, in Perth and possibly even in Sweden. These works will be for sale at the exhibition. If you are interested in purchasing any artworks from the exhibition, please contact the Goldfields Art Center 08 9088 6900. The Walkatjurra Rangers is supported by the Australian Government’s Green Army Programme and the Marnta Media Pty Ltd a local Aboriginal family owned company based in Leonora Western Australia. Marnta Media were successful in securing two Green Army projects this financial year and a third next year under our Walkatjurra Rangers arm. 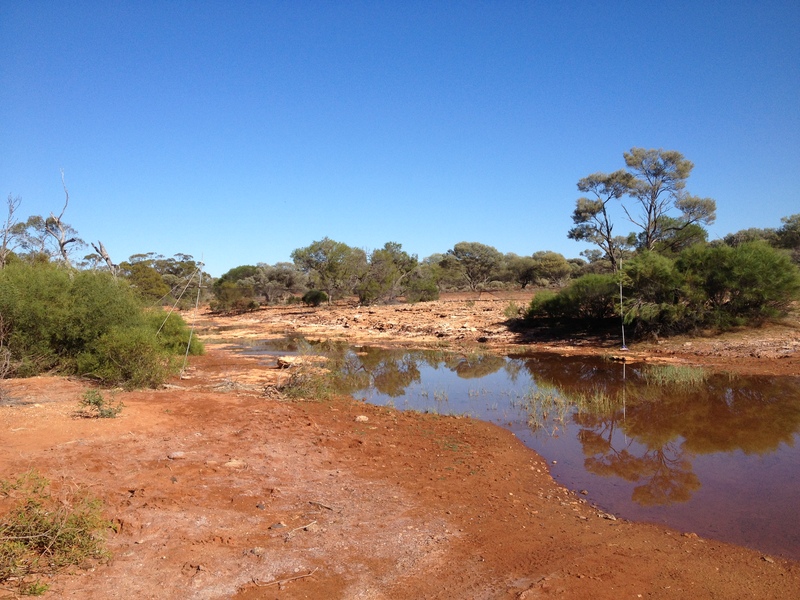 The Walkatjurra Rangers are an Aboriginal land, heritage and environment service creating employment and training opportunities for Aboriginal people in the North Eastern Goldfields region. The Green Army is a great opportunity for young Australians aged 17-24 years to gain training and experience in environmental and heritage conservation fields. 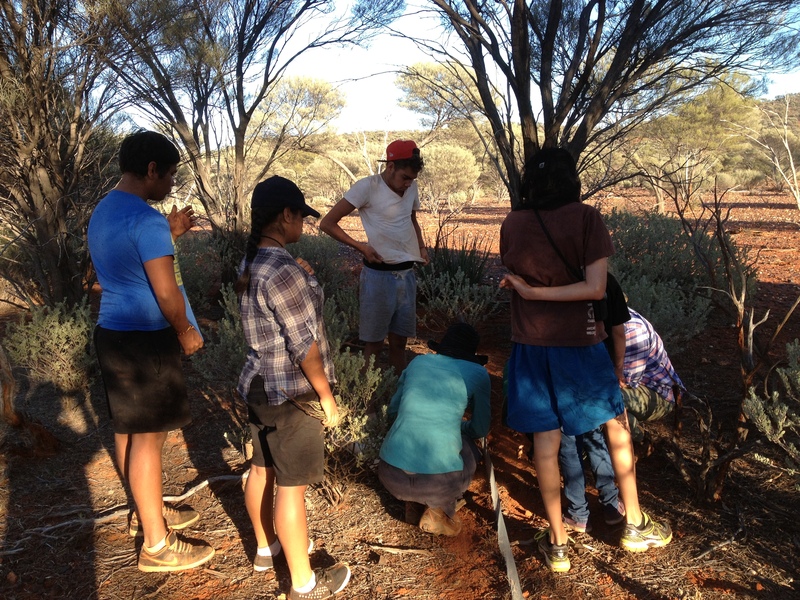 There will be nine places on our Walkatjurra Rangers Green Army team and we are looking for young people in the Leonora community, possibly also from Menzies, Wiluna and Laverton. We are talking to Training providers to set up a suitable training program to support our projects and more importantly to ensure that each of the young people commencing on our project gain the right level of training to help them find jobs either with us or in the broader community. Young people or their family interested in being involved in this programme are encouraged to contact us. Walkatjurra Junior Rangers capped off a big year for the Walkatjurra rangers with a field trip helping Dr Nic Dunlop of Conservation Council of WA and the Citizen Science initiative undertake a study at Mt Forrest Nature reserve. 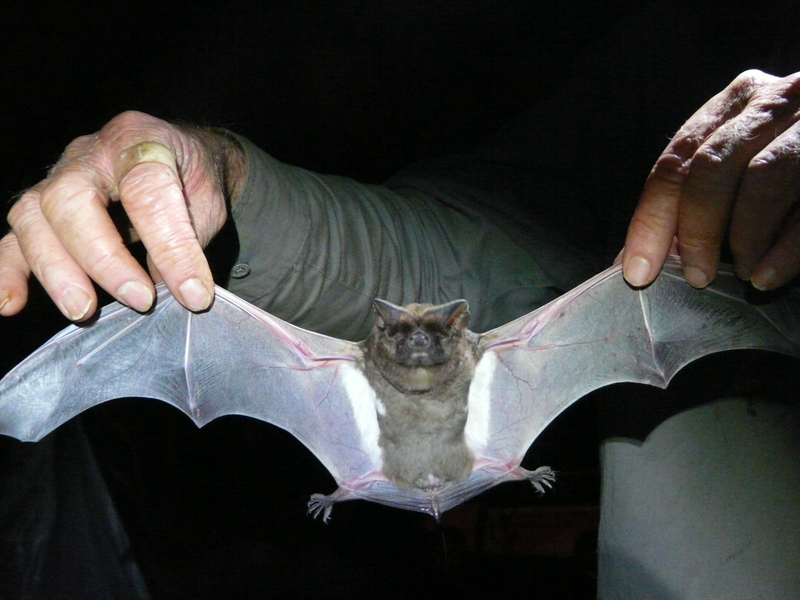 The junior rangers worked alongside Dr Dunlop to run a ghost net over Wutukumpu spring, trapping, measuring and identifying up to seven species of bat. They also set up and monitored traplines, catching small animals like this lizard. 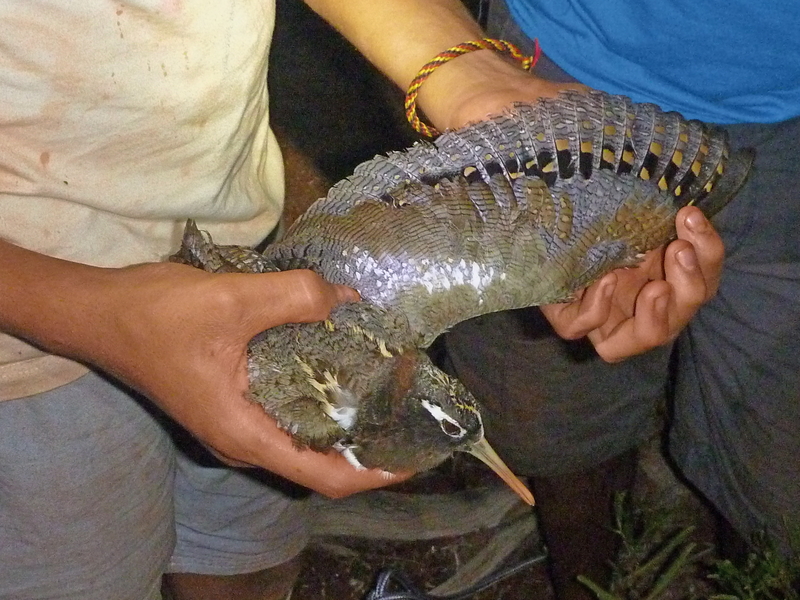 The Walkatjurra Junior Rangers caught a Painted Snipe at Mt Forrest which is listed as threatened under the EPBC Act and Rare & Likely to Become Extinct under the WA Wildlife Conservation Act. The species declined significantly everywhere early last century and has only been recorded 5 times in Western Australia since 1909. All up it was a successful fieldtrip to document and record animals in an cultural and natural environment subject to intense pressures from mining and exploration companies. Video prepared of the relocation of the CORS repeater station from top of Mt Leonora to a location that does not impact Aboriginal heritage. In this video, Walkatjurra Rangers worked with junior Walkatjurra Artists to paint the CORS station as a final part of the relocation and restoration of heritage values on Mt Leonora. A painting by Walkatjurra Artist Vicky Abdullah that has been printed on t-shirts and sold in Australia and Europe to support the Walkatjurra Walkabout and the Wanti Uranium campaign. Back in 2007 several youth from the Walkatjurra Cultural Centre made a video about goanna (papinmaru) hunting in the goldfields. They entered a short three minute version into the international Lonely Planet “less than three” short film competition. They beat hundreds of entries to take runner up. A longer 15m version of ‘Papinmaru’ is available for purchase as DVD. Contact the WCC for detail. Here the Walkatjurra Rangers captured some valuable footage of the Fat-tailed Dunnart (Sminthopsis crassicaudata), a native marsupial not often seen by many due to is nocturnal habits. The motion sensor camera’s have a red LED light that activates when they are triggered to record. You can see the little guy staring straight at it, having never seen anything like it before!